An Oakland man openly wept in court Friday after a judge dismissed the charge that had kept in him jail for the past six years. Ronald Ross, 51, was convicted of attempted murder for a 2006 shooting. It was a shooting he played no part in, the judge confirmed Friday. Before Friday, Ross faced the prospect of spending the rest of his life in state prison. Jodi Hernandez was there when a man who spent seven years in jail for a crime he didn't commit was released from jail. A few hours after the ruling, Ross was released from custody. 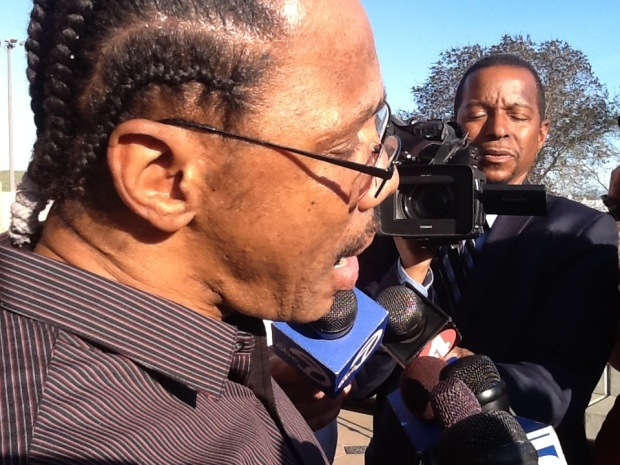 He told reporters outside the jail that he felt blessed to be free again, adding that it had been a long journey. "God blessed me with the dream team, Angels that brought me this far. Without them I would probably be stuck behind these walls for something I had not done," Ross told NBC Bay Area's Jodi Hernandez. Ross' "angels" were the people of the Innocence Project. Ross went straight to his mother's house for a good home-cooked meal of oysters and shrimp. His mother Thelma Ross was his alibi during the trial. She said the past six years and ten months have been awful. "I thought they’d never turn him lose," Thelma Ross said. She added that she is no longer angry with anyone. She said she was at first, "but I'm not now." Oakland police told NBC Bay Area Friday night that they are reopening the original criminal investigation. A spokesperson said investigators have already requested all investigation materials from off-site storage, and promised an update next week. 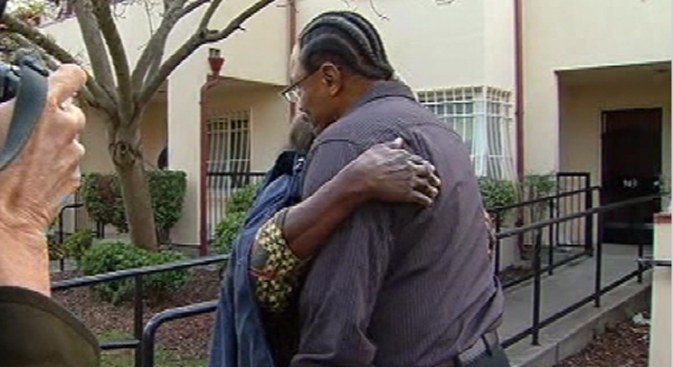 Ross was convicted on Nov. 8, 2006, for an April 15, 2006, incident in which Renardo Williams was shot in front of his apartment at the Campbell Village complex in West Oakland. Williams identified Ross as the shooter after Oakland police included him in a photo lineup and also testified at the trial that Ross was the shooter. However, Ross's trial attorney, Michael Berger, believed that Ross was innocent and asked Santa Clara University School of Law's Northern California Innocence Project to review the case. The Innocence Project and the San Francisco law firm Keker & Van Nest then conducted a lengthy investigation, which concluded that there were multiple errors and that Ross was innocent. The lawyers who represented Ross said Williams admitted after the trial that he never thought Ross was the shooter and implicated him only because he was pressured by Oakland police and feared that the real gunman would come after him. That man is now in custody for an Oakland crime spree in July 2011 and prosecutors say they don't plan to charge him with shooting Williams. The Alameda County District Attorney's Office conducted its own review of the case and concluded that Ross's conviction should be thrown out because of the new evidence of his innocence. At today's hearing, Senior Deputy District Attorney Micheal O'Connor asked that Ross's conviction be dismissed "in the interest of justice" and Superior Court Judge Jon Rolefson granted that request. Rolefson said, "Congratulations to Mr. Ross and best wishes to you." Ross had been sentenced to 25 years to life in state prison. O'Connor said if his conviction hadn't been dismissed, Ross might have spent the rest of his life in prison but would have been eligible for parole many years from now. Ross had been in state prison for many years but was brought to the Alameda County Jail in Dublin last September for a series of habeas corpus hearings in Alameda County Superior Court that ultimately led to his conviction being dismissed Friday.